This seminar is open for all, but first of all intended for instructors. The seminar focuses on how training affects the dog and how we may end up with an obedient dog, but also with a lot of unwanted side effects. We look closely at the flip side of the coin. Whatever goal we have with normal obedience traning there are negative side effects. It is important that we know how these will influence the dogs. Because they may be the cause of future problem behaviors. 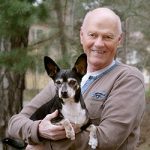 Of course you want to teach the dog owners as much as possible about their dogs, while at the same time create an obedience that works in every day life. 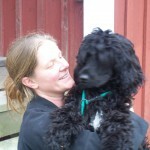 The goal is that the training will adapt the dog to its every day life with the family and in society . The dog owner’s goal is “a calm dog” that refrains from doing certain things, such as barking, pull on the leash, jump on people, attack other dogs. And it should do certain things on command. Lively and energetic dogs are exposed to a lot of “corrections”. It’s a battle of the wills, which the owner wins – often with the help of a trainer. Using punishment the dog is being pacified. Reserach shows that punishments can be associated with behavioral problems. We have a great need for control and one instrument in achieving this is via courses in dog training. Courses based on positiv training are focused on reward and praise and to increase the control of the dog in a nice and friendly way. But control is still the goal! Many things can be done to avoid negative effects of different courses, especially in obedience. We will discuss these issues at lenghth. När var hur finns detta kortseminarium? Detta seminarium är inte inplanerat ännu. Titta på min webbsida under “Calender” som uppdateras med kommande föreläsningar och seminarier.